Gordon Ramsay’s latest venture Union Street Cafe, got the tongue of almost every Londoner wagging, especially since it was initially rumoured to be in partnership with David Beckham. Unfortunately for us ladies, the Gordon Ramsay jokes about Beckham being a sous chef are false, and any other real claims of his involvement in the venture for that matter. The good news for Ramsay is that this publicity has worked wonders with an inundation of thousands of bookings in the first few hours. Apparently Union Street Cafe is completely booked out for dinners until Christmas this year. So is Union Street worth all the fuss? Last Friday I got out of the tube south of the river to see what all the buzz was about. 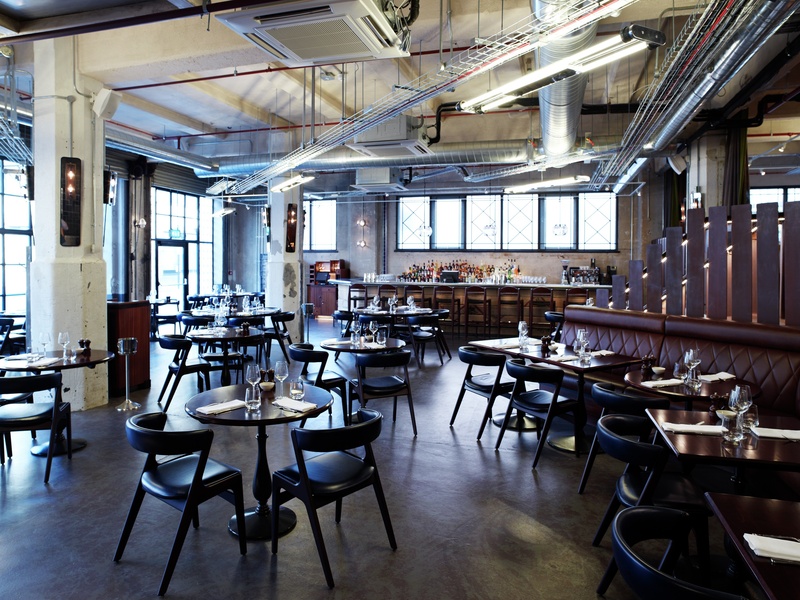 Upon entering, Union Street Cafe has a hip warehouse conversion feel. 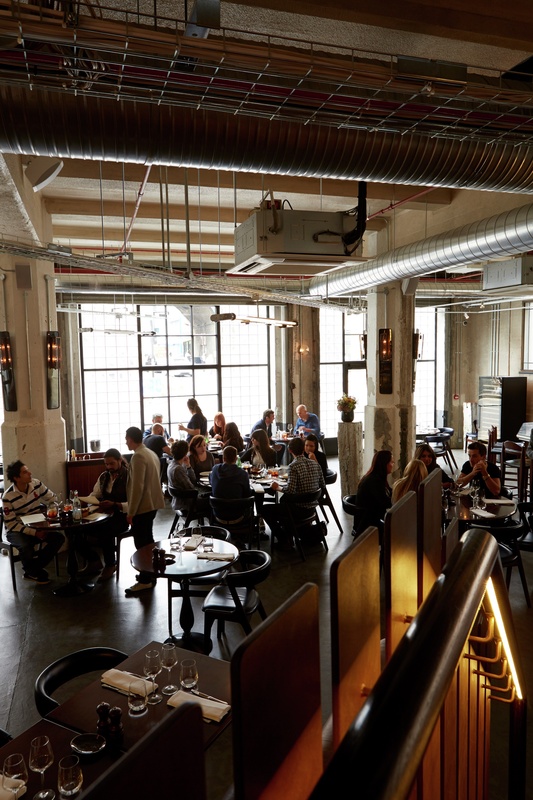 Exposed piping and metal grills hang precariously from the high ceilings making the venue feel quite urban and industrial. It’s quite bright and airy with natural light filtering through the floor to ceiling glass at the front. The kitchen is modern, in an open theatre style set up. 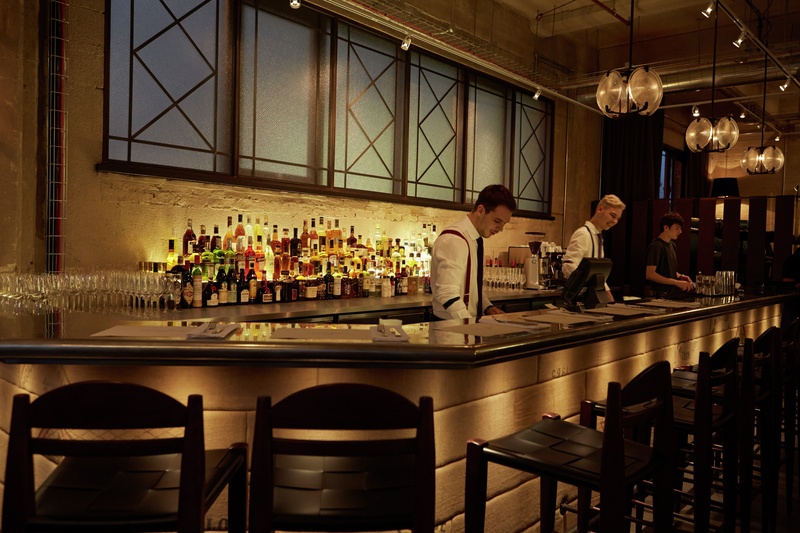 There’s also a nice looking bar in the restaurant with well suited baristas in braces whipping up dreamy looking cocktails. The decor is quite simple but elegant. The comfortable leather clad chairs and banquettes, steel features and unusual art pieces which have been exclusively curated by London’s leading urban art gallery, StolenSpace. The staff seemed very eager to please and very attentive throughout the afternoon. The menu which changes daily, is predominantly Italian influenced. Head Chef David Degiovanni’s dishes focus on seasonal ingredients sourced from Italian artisan producers and speciality produce from the Mediterranean. 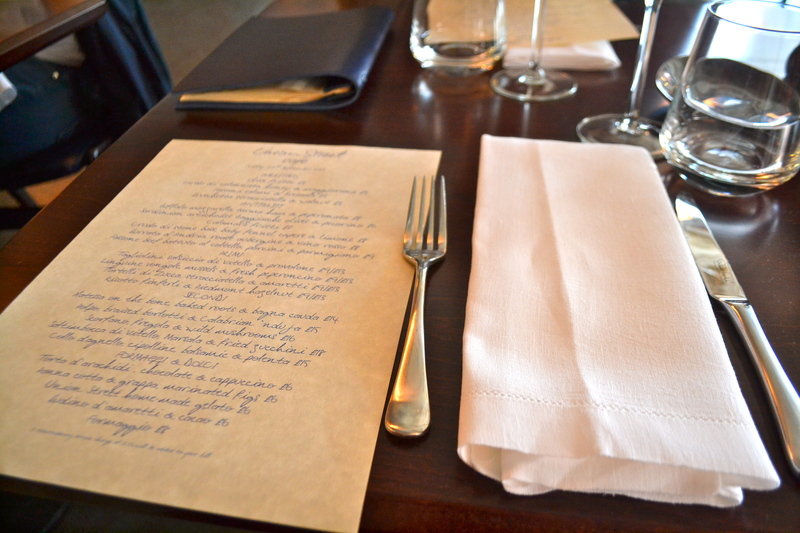 Unless you are well versed with Italian cuisine, you may need some help translating the menu! The meal got off to an exceptional start with an entrée of tortelli di zucca, stracciatella and amaretti (£9). 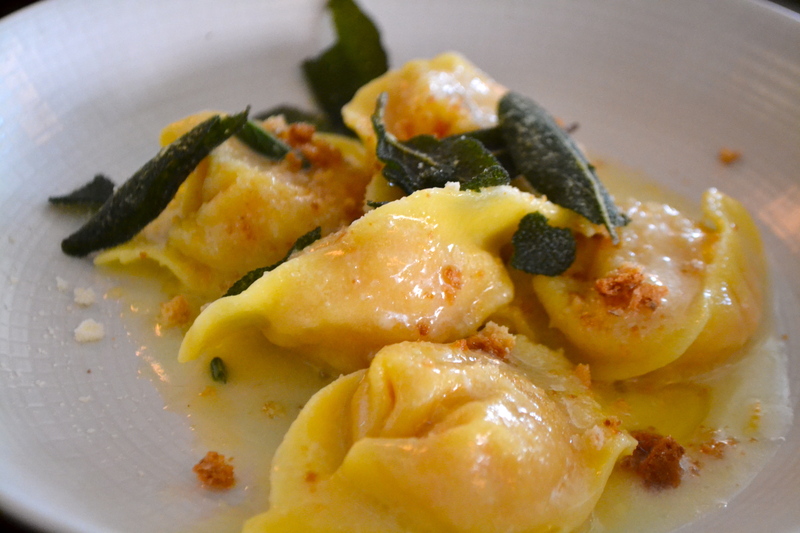 The tortelli were beautifully cooked and looked so delicious I felt like I had been conditioned like Pavlov’s dog. The oversized pillowy tortelli literally burst at the seams, with a sumptuous filling of fleshy buttery pumpkin. To add even more decadence, amaretti biscuits were crumbled on top of the pasta which provided a lovely texture to soak in the sage and butter sauce. My only regret was not ordering a larger serve. If our neighbours weren’t looking at us so suspiciously I probably would have licked the bowl. 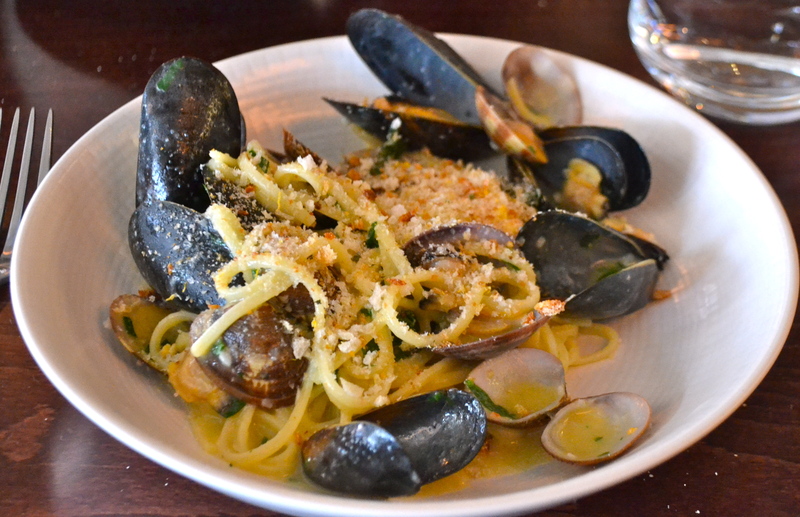 This was followed by an entree sized linguine vongole (£9), a classic italian dish originating from Venice. Served with mussels and fresh peperoncino this was a beautifully cooked dish. The bitterness of the peperoncino was a nice addition to the otherwise delicate flavours of garlic and white wine. The mussels also provided an extra flavour punch to the brothy sauce. It was a very tasty dish but paled in comparison to the tortelli. I didn’t take much time deliberating on the mains, settling on one of my all time favourite Italian dishes, saltimbocca (£18) which literally means ”jump in your mouth” in Italian. The flattened veal was succulent and tender and had a great flavour complemented by the prosciutto and marsala marinade. For me, the biggest let down of this dish was the zucchini which was fried in a thin tempura type batter. 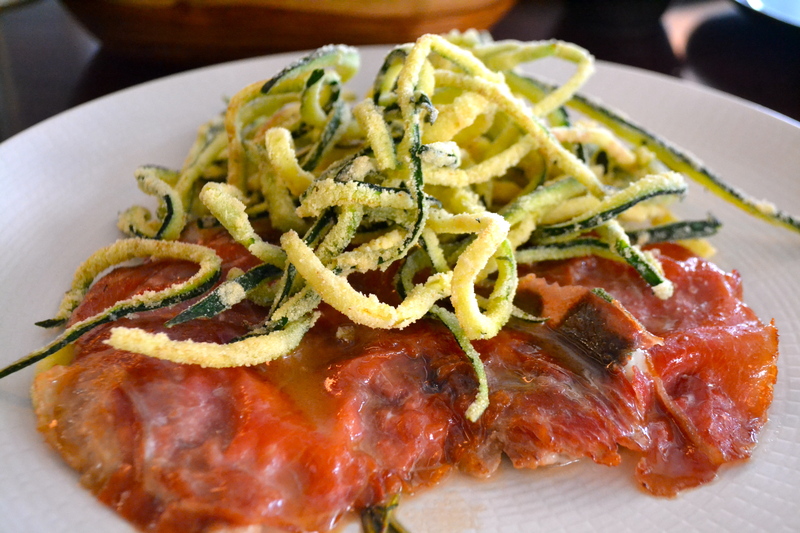 It was extremely salty which, combined with the saltimbocca, was real salt overload. I would have preferred a side of mash or a simple salad to offset the salty flavours more. 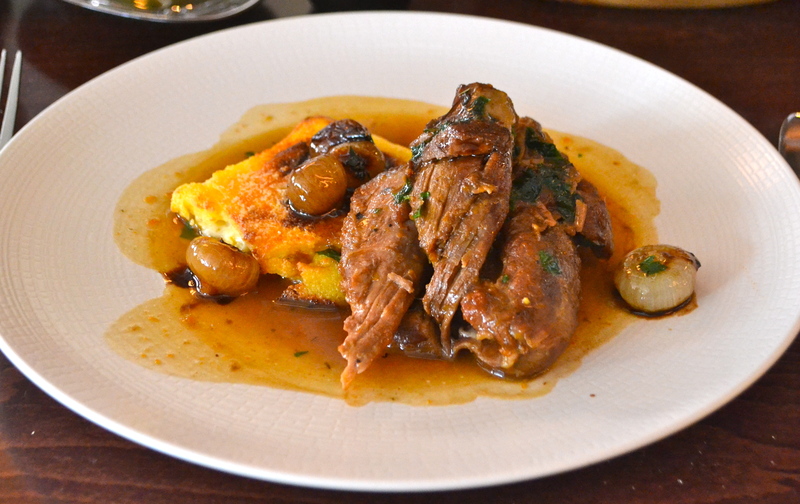 For the second main we chose Collo d’agnello (£15) which is braised lamb neck. The lamb was deliciously tender and effortlessly fell apart when I cut it. It was great to see a restaurant using cippolini- small Italian onions – which are naturally sweeter than most onions. The sweet and zingy flavours of the balasamic roasted onions worked beautifully with this dish offset by the hearty polenta. Unfortunately I committed the ultimate sweet tooth sin and left no room for dessert. I wanted to love Union Cafe (don’t get me wrong it was good) but it fell slightly below my expectations. Perhaps next time I will head to Ramsay and Beckham’s next rumoured venture of a pie and mash shop. £90 for two entrees, two mains, carafe of wine, sparking water including service. Previous Post Faulty Towers the Dining Experience Giveaway! Reblogged this on lisa eats world. 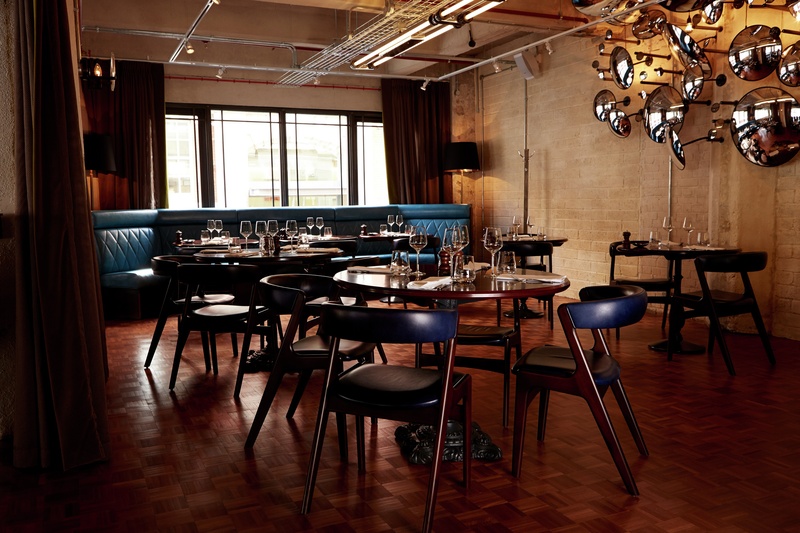 On the strength of your recommendation I’ve booked a table in January… hopefully it keeps up the high standards! Hope you enjoy it! It’s not one of my all time favourites but it was good. The pastas are great. 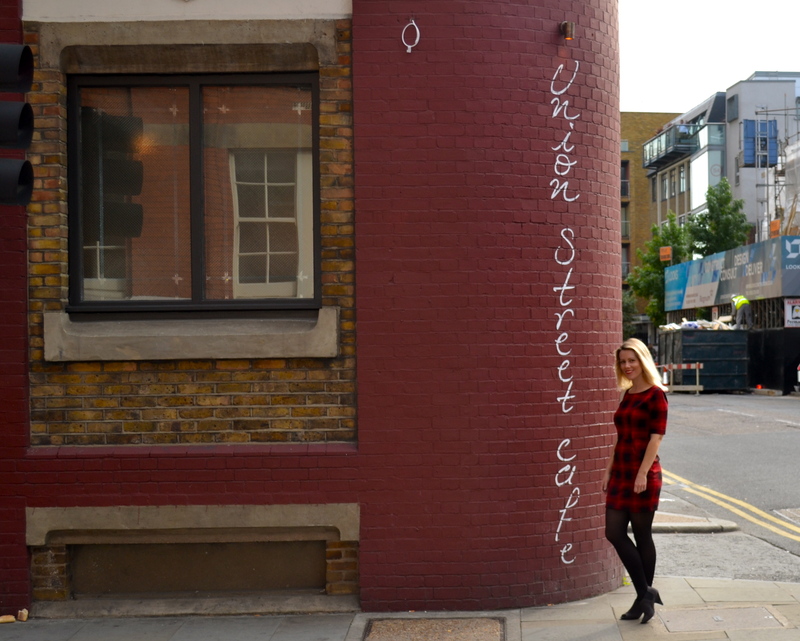 I went to the Clove Club last week which I really liked, have you been there? Not yet! One of the sad facts I’ve come to accept is that I seem to put restaurants on to my “to-eat” list, quicker than I can cross them off! ha ha don’t worry I am much the same. My food bucket lists keeps growing and growing!! !